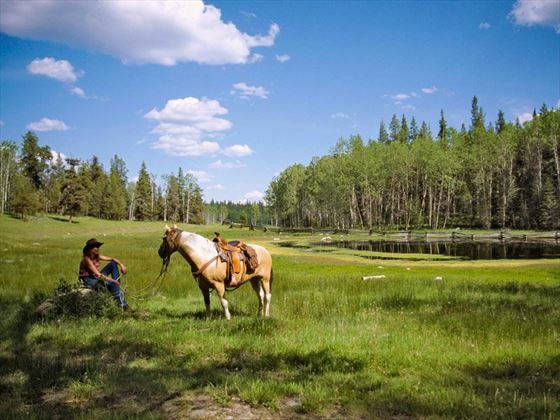 If you’re a discerning, active traveller looking to immerse themselves in the Canadian wilderness and get a taste of authentic ranch living, look no further than Siwash Lake Wilderness Resort. 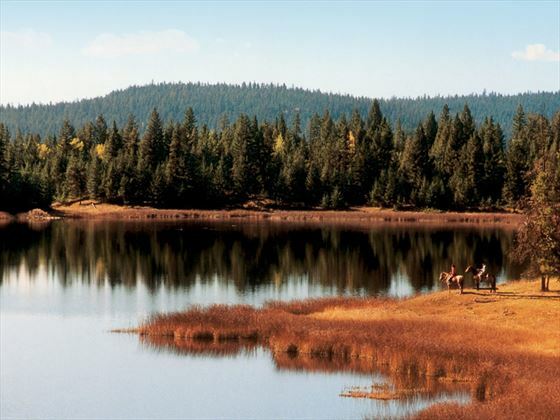 Renowned as one of North America’s best luxury wilderness resorts, it’s a place where adventure, nature and relaxation ensue. 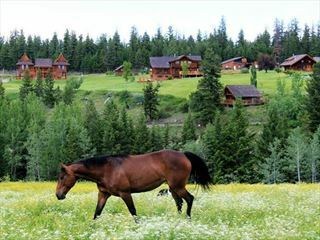 Nestled in the remote Cariboo region, halfway between the Rocky Mountains and Vancouver, it’s the perfect location for those hoping to get off the grid and experience life away from the usual modern distractions. 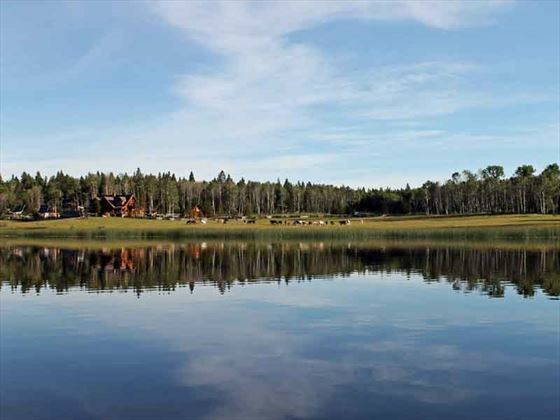 This wilderness resort boasts a wonderfully eco-friendly, sustainable and naturally stunning experience, and continues to offer amazing outdoor recreation including fly fishing, horse riding, canoeing and wilderness survival courses. With such a remote and wild location, it’ll come as no surprise that the food here is home grown and foraged from the nearby meadows and Snag forest. The surprise comes with the presentation of the food – with dishes reflecting those found in first-class restaurants, each plate is decorative and tempting for all the senses. Tranquil and secluded, there are three suites to choose from here. 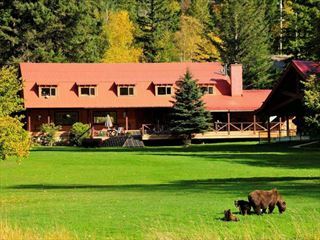 Two reside in the log-built Ranch House, a gorgeous communal hideout where guests can lounge and dine right by the lake. Both of these suites are decorated in charming country-house style, overlooking the beautiful landscape and offering plenty of room for families of up to four. 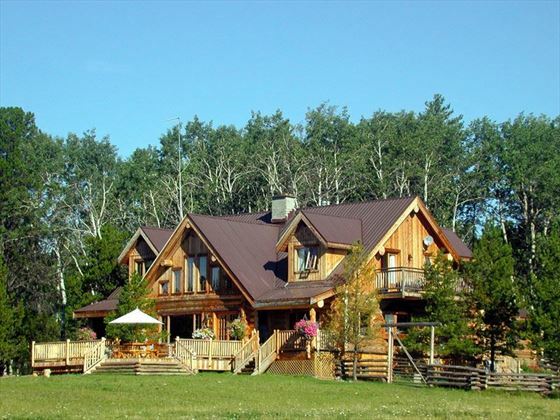 Meanwhile, the Cariboo Barn Loft Suite is situated in the renovated loft of a rustic log barn house, offering sensational views of the horse corral. In 2019, the resort will open their ‘glamping’ tent above Siwash Lake, giving you the chance to star gaze in the dark sky reserve and truly get close to nature. The resort is open from June to September each year. 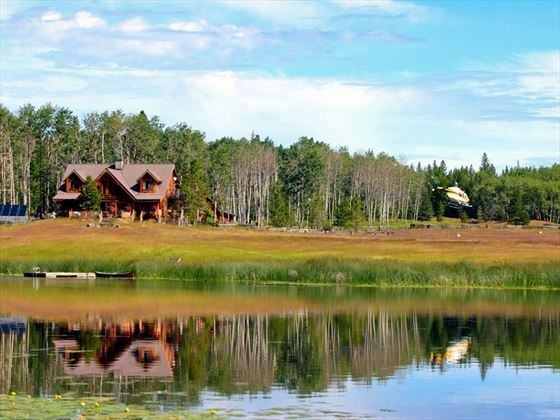 Hidden away in a secluded area of the Cariboo region, this rustic ranch is surrounded by never-ending meadows and the Snag forest, just at the foot of the Cariboo Mountains. 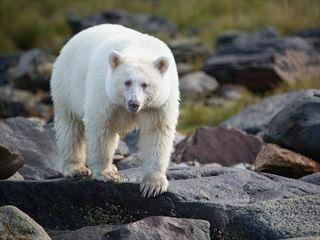 Halfway between the Rocky Mountains and Vancouver, you’ll be immersing yourself in Canada’s beautiful wilderness. 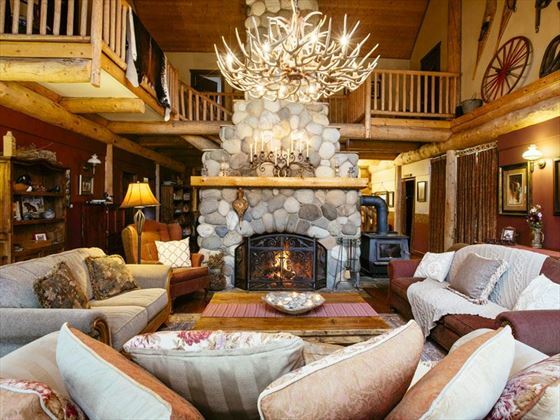 The Siwash Suite – One of the two suites located on the second floor of the Ranch House, this rustic log-built suite overlooks the beautiful meadow and lake. Boasting a private balcony, two king beds (one of which can convert to two singles), a separate lounging area with a wood-burning stove, and a double sofa bed. It can comfortably sleep a family of four or five. 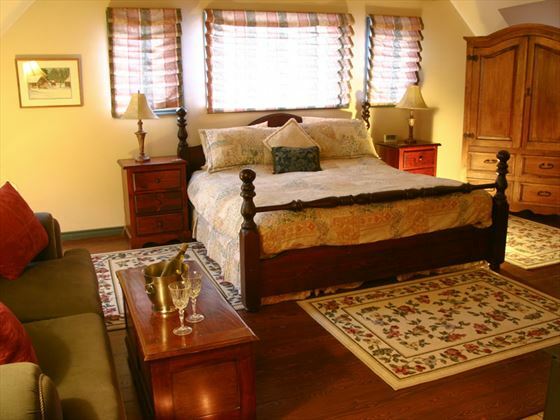 The Frontier Suite – This slightly smaller suite is situated in the Ranch House on the west side of the upper level. The charming suite adopts a rustic country-house style, featuring two bedrooms sharing an en-suite bathroom. One of the rooms has a view of the lake and meadow plus a king size bed and sofa, whilst the other looks out onto the organic garden and offers two twin beds and a pull-out bed. Comfortably sleeps a family of four. 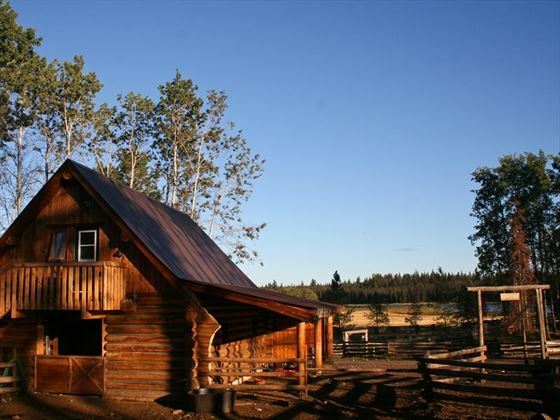 Cariboo Barn Loft Suite – You’ll find this gorgeous suite in the renovated loft of the hand-hewn log barn, just a minute’s walk from the Ranch House. The suite features a separate bedroom that looks out onto the meadow and lake, whilst the living room features a sofa that can fold out into a double size bed, plus an alcove that can fit two more single beds. The best part is the balcony that overlooks the horse corrals, giving you that authentic ranch experience. Comfortably sleeps a family of four or five. 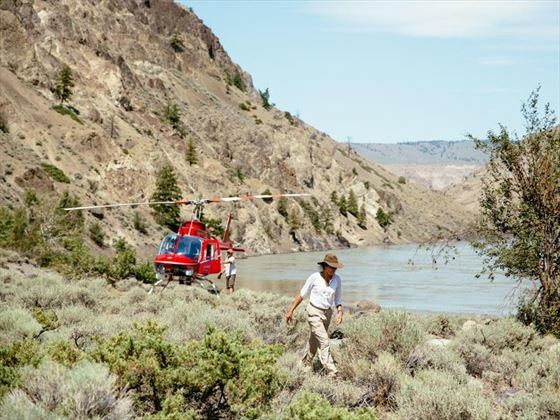 Immersing yourself in British Columbia’s secluded wilderness also entails dining on fresh, homegrown produce, either grown on site or foraged from the meadows. Since the wildfire in 2017, the nearby Snag forest produces some incredible ingredients, including ruby red strawberries and wild Morel mushrooms. You can either dine in the elegant Ranch House dining room, or truly enjoy the surroundings with an al fresco feast. Every dinner is cooked fresh, with world-class restaurant flair.